We're trucking along and making somewhat slowish, but steady progress on the house. If things go as planned, I should have an exciting update on it next week! 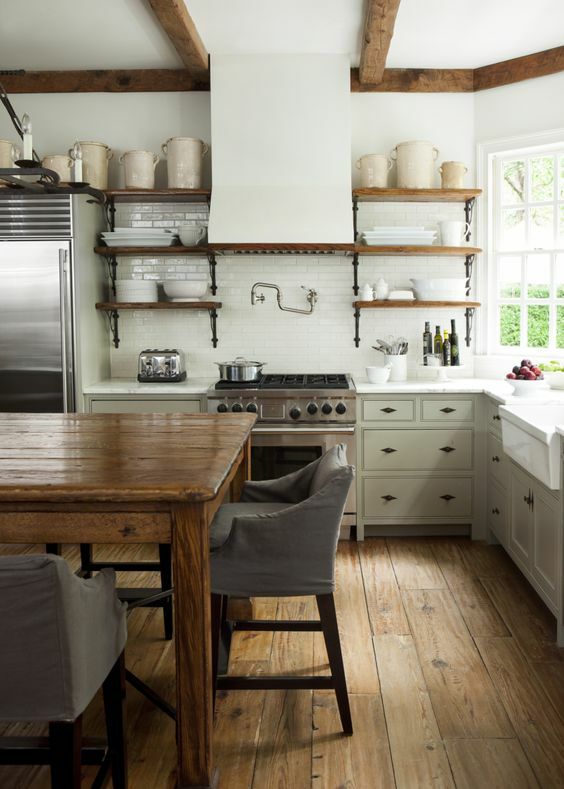 But for today I thought I'd share some of my kitchen inspiration. One thing that we've already bought (because they were on sale!) is our windows. I really wanted black windows, and so after some research, I found the best budget friendly option for them out there! We went with Andersen 100 Series windows, and we ordered them last spring during Home Depot's windows and doors sale. But, since we were no where near ready to install them, they've been in storage ever since. This picture is a big one on my list of inspiration. 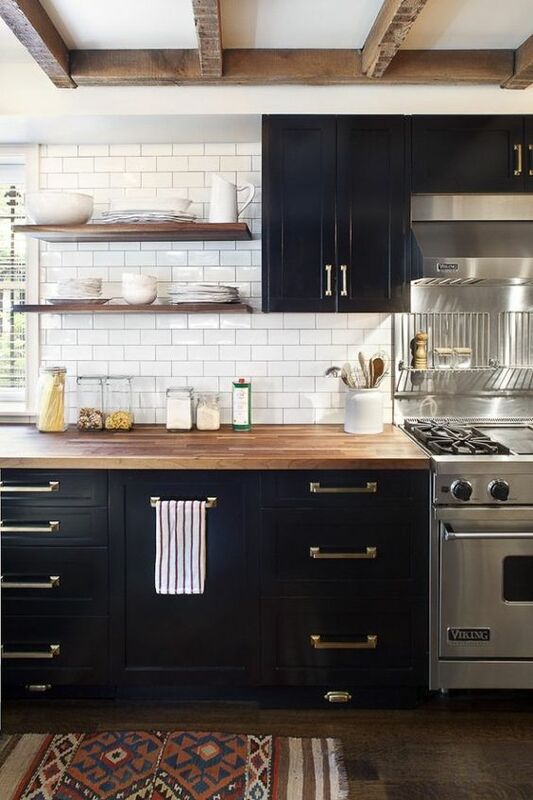 I looked at a ton of pictures of kitchens with black windows, but this one is my favorite. 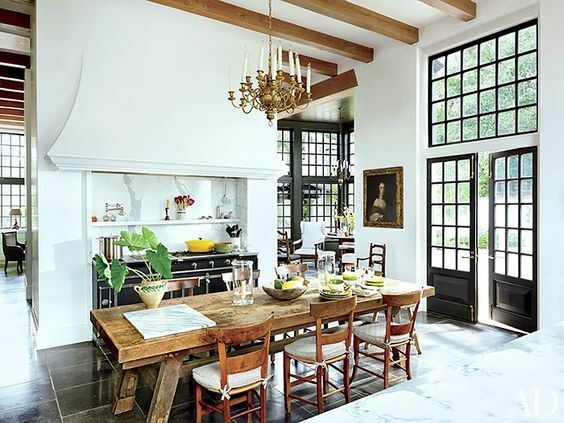 I love the white walls, and the way they make the windows really pop. 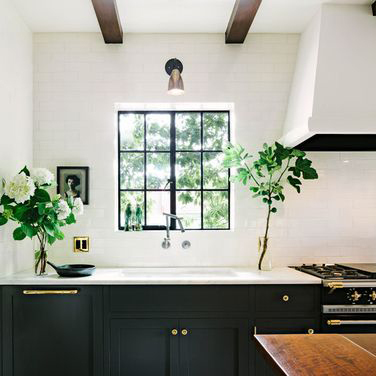 And it has all of my favorite things, black+white, warm wood, brass hardware, and greenery! Here are some other things I'm looking at. 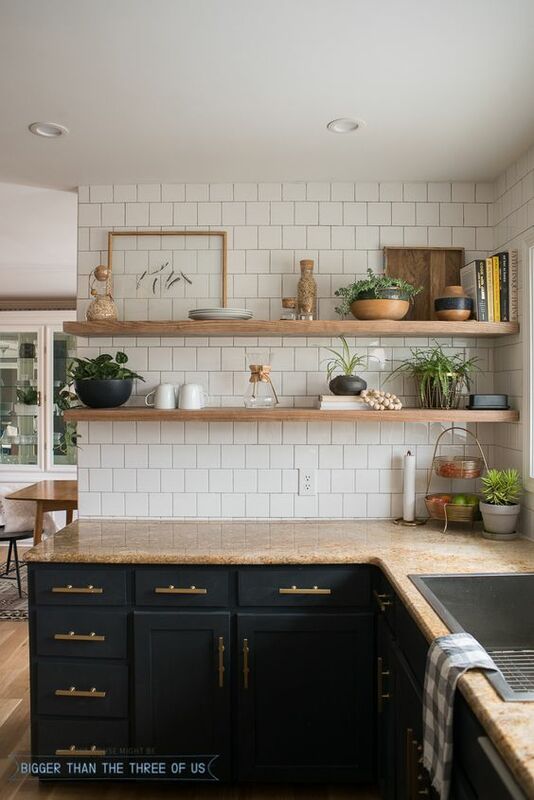 There are several cabinet color options that I really like (I love those wood ones), but I always keep coming back to black. It's always been a favorite of mine, and I feel like you can't go wrong with such a solid neutral color. But, I have tossed around the idea of a dark olive green, so I could surprise myself and choose that when it comes down to it! 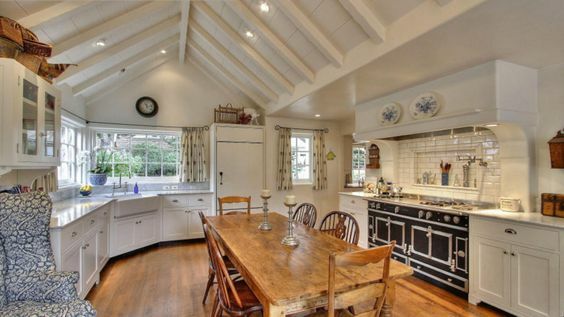 Right now I'm planning on medium brown wood floors, white counters (maybe concrete) and a subway tiled backsplash. 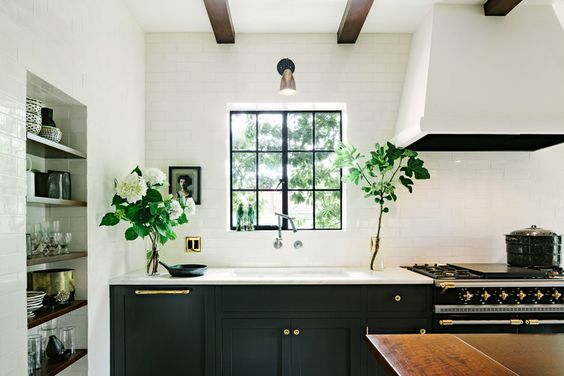 I've been hearing rumors that subway tile is out, and I get it. 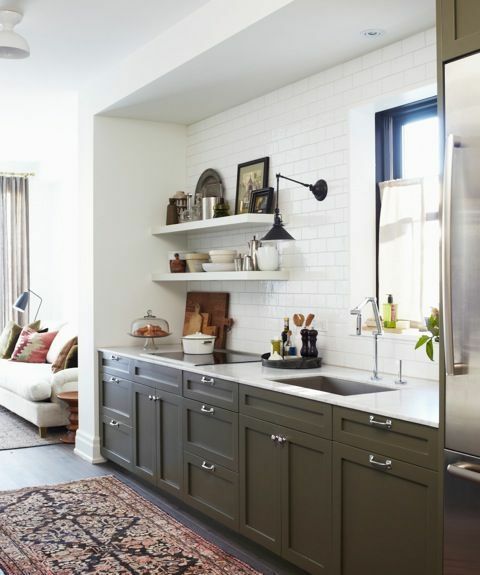 When something dominates as much as subway tile has, people get tired of looking at it. 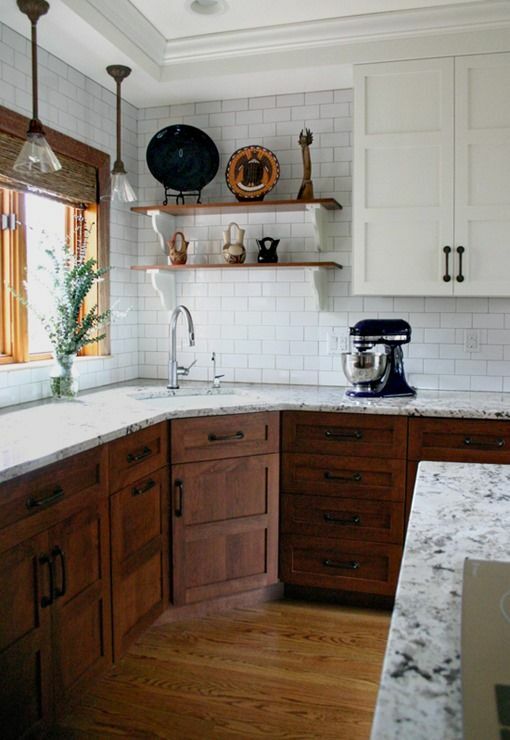 But, we used it in our last two remodels and didn't get to enjoy it at all! Literally weeks after tile went up, we moved out :( I may decide to try a different tile layout, but I still do love the classic. I also thought about some pretty patterned cement-like tiles, but honestly, I think I would get tired of that really fast, in spite of how pretty it is. So, tried and true it is. The layout of our house is a little different than most people are probably used to, like I mentioned in a previous post. You walk right into our dining room/kitchen, so I want it to make a really good first impression. 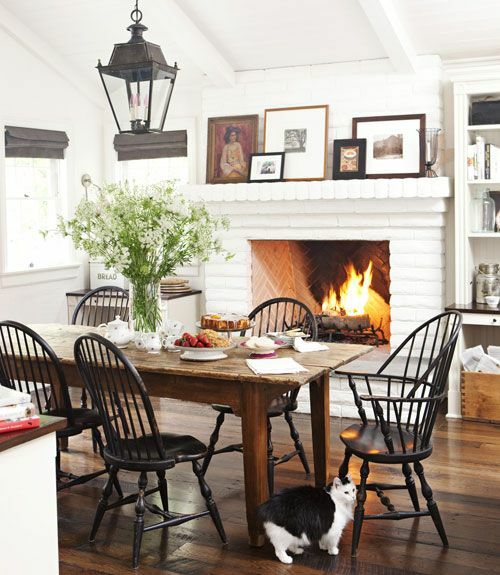 Something cozy and welcoming, with lots of character. 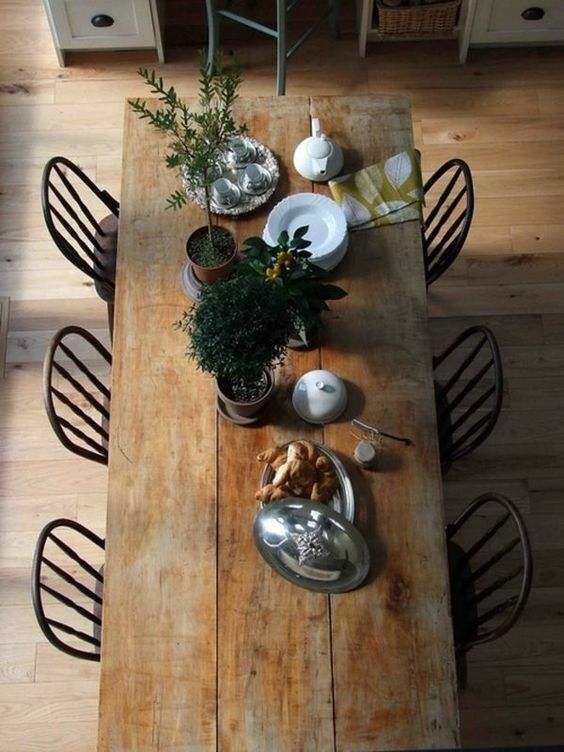 And our dining table is going to float in the center of the room, so I'm picturing something old, rustic, and warm. These pictures above are really pulling that off! Some of these pictures might not seem that similar, but they all have colors and details that I really love. Plus, I'm focusing more on the mood and feel I get from them, and trying to incorporate that into the plans than trying to copy every exact thing. 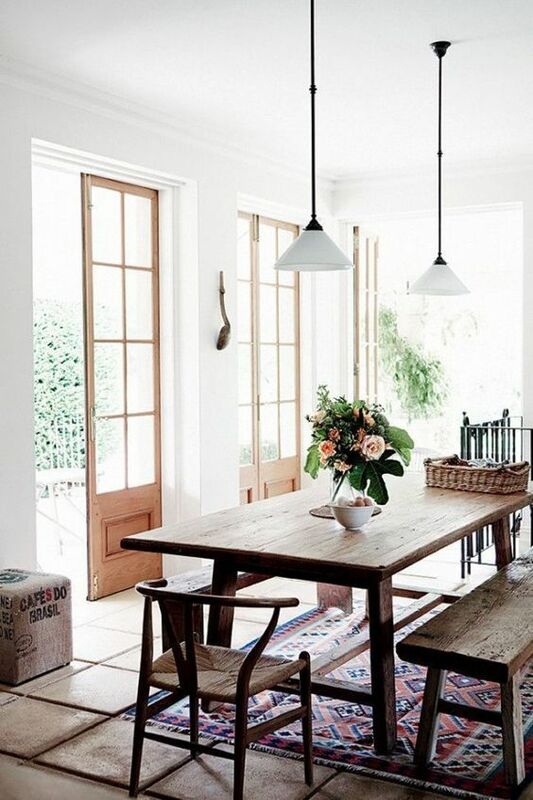 There's a particular feel that I have always loved in houses, no matter what's currently trendy or popular, so I think if I focus on that, maybe I won't get tired of things quickly as trends start to change. 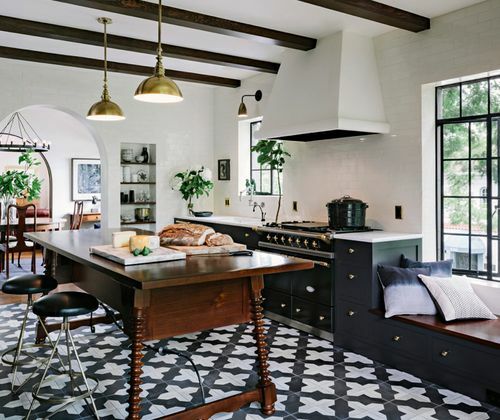 There you have it, our new kitchen inspiration! What do you think? Should I continue to do these posts for some of the other rooms in our house? Let me know! Happy Wednesday folks, and thanks for stopping by!